When Karah from The Space Between told me she was about to announce a challenge with a group of other bloggers and asked me to join I was really intrigued. Karah was one of the participants in my Crafty Christmas Tree Challenge, she made that wonderful driftwood tree that was so amazing, so I knew if she was involved it would be an interesting and inventive challenge. And boy is it ever! It's called the Imagine the Impossibilities challenge. The goal is to pick a project that seems daunting or impossible to you, and tackle it during the month of January. There was definitely one project that I needed some motivation to start and this seemed like the perfect thing to get me going. 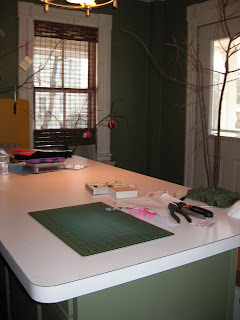 So here's my impossible project- Cleaning and Organizing The Craft Studio. Warning: The following images may be disturbing for certain viewers who like neatness. As of yesterday this was current state of the island in my craft studio. 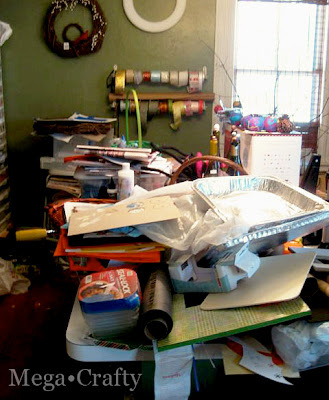 Piles and piles of craft projects and materials. Some hadn't even been taken out of the bag after being purchased. And the thing that gets me is that I already have a pretty good basic organization in the studio. I just haven't been keeping up with it. But once I started getting dizzy I haven't really been working in the studio. I've been working in the dining room or living room so I can lay down on the couch if I need a dizzy break. The studio has turned into a room that I grab materials from, then plunk them down again once I'm finished with a project. Never actually putting the materials away (as you can clearly see). But I'm tired of it getting messier and messier. I love the studio when it's neat, clean and easy to work in. It had a wonderful creative energy and was my favorite room in the house. It doesn't feel that way anymore- it sort of feels abandoned now. So it's time to clean! And maybe that will encourage me to start trying to work in there again despite the dizziness. This project probably wouldn't be impossible under normal circumstances, since mostly everything on the island has a home on a shelf somewhere. But since I get dizzy I have to take a lot of breaks. Cleaning happens in short spurts and it's hard to keep up with an ongoing project. So I think having this challenge is going to help keep me on track. Now for the giveaway part of the post! Funny things happen when you clean. You realized that if you were more organized you probably wouldn't do things like buy the same item twice. I found I have two copies of this book. They are both in perfect condition so I thought why not give one away! 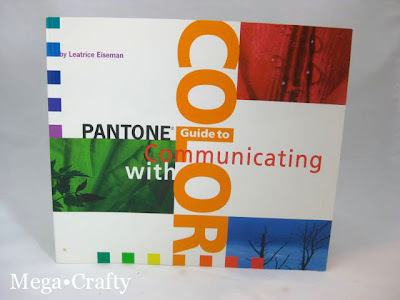 If you love color (like I do) this is a wonderful book. 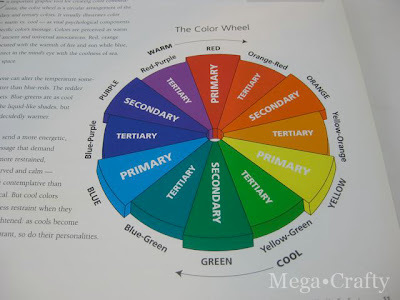 It has a color wheel in the front. 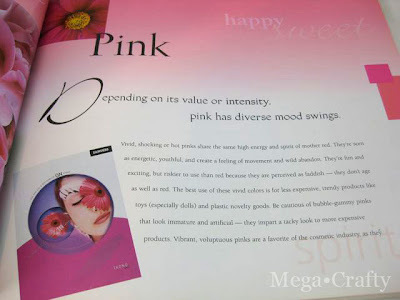 Includes some basic color terminology, talks about the moods each color can represent and how they are perceived by viewers. It also shows some interesting color pallet and combinations in the back. I'll choose a random winner and announce it on Friday January 20th 2012. This Giveaway is Now Closed. Thanks to everyone who entered! You can check this post to see who won. And if you want to join the Imagine the Impossibilities challenge too head on over to Karah's post about the challenge. Congratulaions on beginning! A wise philosopher once said.....the journey of 1000 miles begins with a single step. Please enter me in the giveaway! I can't wait to see your finished "impossible!" Meg! Thanks so much for the link backs in your post. I have to admit, I chuckled at your first craft room island pic. But I know you will conquer it, and feel so much relief when you're done. I'm so glad you're part of the challenge! I'm sure the giveaway isn't open internationally. :( But what a nice gesture! anyway, best crafty wishes to you!!! Looking forward to seeing the after. And please enter me in the giveaway! wait - you are not pregnant! i have you confused with another crafter...so so sorry!!!!!! Fun! I'm in! I know what you mean - you can have a great room with lots of storage, but it's the piles - oh my! Sometimes I have multiple works started so then you create another pile and get into trouble. Ooh I love the book (pick me! pick me!) You're right, it IS amazing the things we discover once we start organizing... most of my stuff has been stored in boxes for the last 6 years (ever since I had moved in with roommates and had no additional space) now I have room again and those boxes are slowly being unpacked... I am spending far too much time oohing and aahing over stuff I had forgotten I had purchased. Its nice to know I still have the same taste... and a lot of fun to pull something out of a box and still have the feeling that you HAVE TO HAVE THIS... only to realize (happily) that you actually do own it! Glad I'm not the only one in need of a craft room clean up. Thanks for the great giveaway! [I'm not participating. Just leaving a comment]Your studio's got like an artistic chaos to it. You know that all this stuff might come in handy. But you should see my sister's room. A fashion victim, or better yet, a classic case of hoarding. Hope you're loving your clean studio girl! 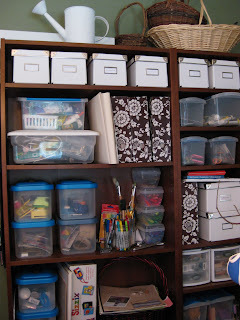 Man, that looks alot likle my piles of art & craft supplies! (I don't say studio cause you can't see the studio - it's buried! lol) Anyways, I totally need to clean my area too - your photos are an inspiration! Thanks so much for this post & for the give-away! Ok, is something wrong with the way ur studio looks? La! La! Looks sorta like mine!!! Ha! Ha! I hope I can be in the giveaway eventhough I am already a follower! Working on carving out me a niche in the living room! 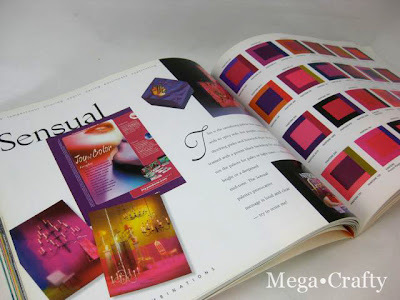 i love color and books about color are a weekness. Thanks for the chance to win this. I also put it in my amazon wish list. I'll be checking back daily to see your progress; it will keep me inspired! Wow! Meg! You have got your work cut out for you even if you were in perfect health!I wish you great luck in wrestling that studio back into submission! FYI I am also joining in the Imagine the Impossibilities Challenge. Good luck! 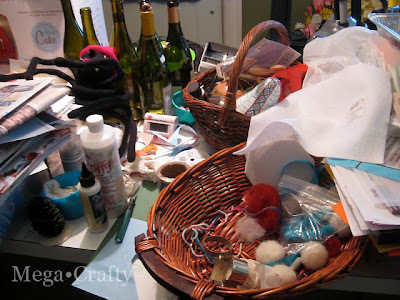 My craft/work area really needs some attention too... it is so hard to keep things in their homes when crafting! Lol. At least for me! Enter me for the giveaway too! 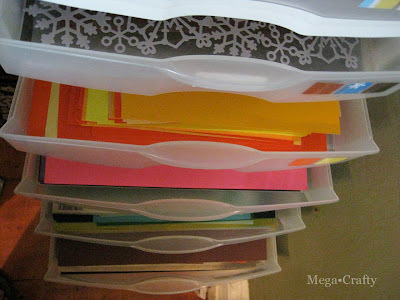 I am so, so guilty of doing a project and leaving all the left over stuff in a pile & jumping into the next project. Before I know it, there is no room to create anymore! Good Luck with your "impossible" project! 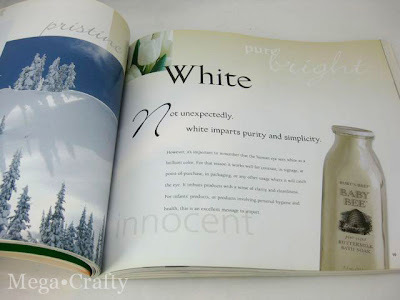 I'd love to be entered for a chance to win that awesome color book!